Safety is our biggest concern and I no longer wanted the distraction that wearing glasses presented. Firefighter Anthony McAlister wore glasses for as long as he can remember. When he tried contact lenses, he could never get comfortable wearing them, so he was stuck with eye glasses. 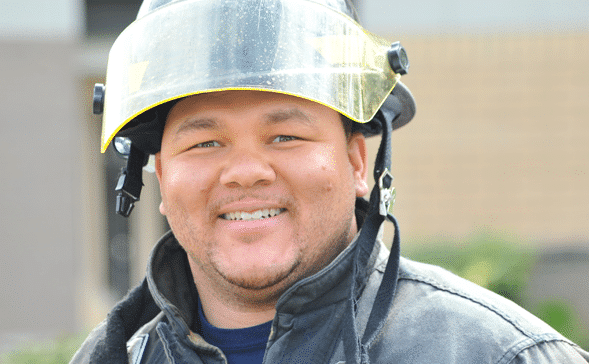 Thanks to his fiancé and one of his fellow firefighters, both LASIK surgery patients, Anthony was encouraged to schedule a free consultation at Campbell Cunningham Laser Center. Afterwards, he readily scheduled his pre-op appointment and surgery. The day of the procedure, he was a little nervous and feared that the LASIK might hurt, but his fears were eliminated by the friendly staff and in less than an hour the surgery was over. Not only could he could tell the difference immediately, the surgery was painless. 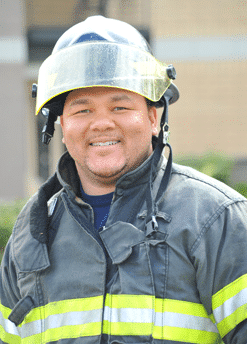 “As a firefighter and a father of twin one-year old boys, I don’t need the extra hassle of glasses.